Samsung Galaxy Smart Phones: Why Samsung Galaxy S6 Edge Plus is my favorite Android Phone? 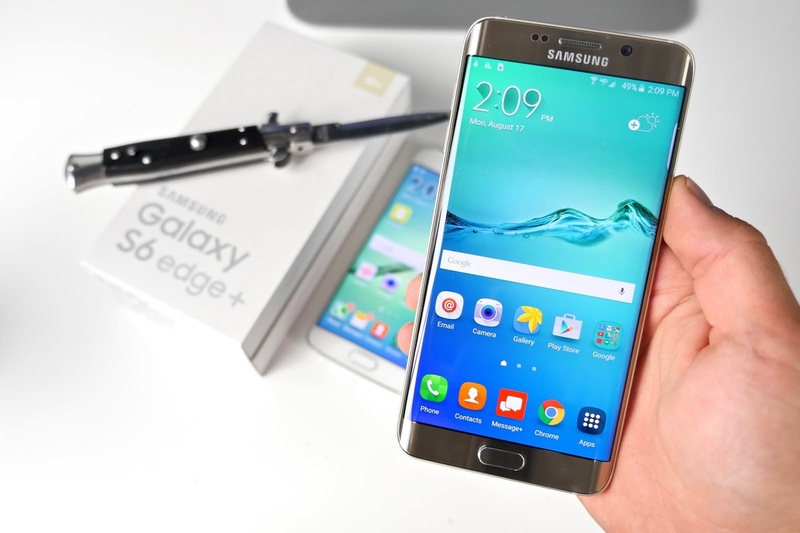 Why Samsung Galaxy S6 Edge Plus is my favorite Android Phone? Samsung launched the Samsung Galaxy S6 Edge Plus, which is a very impressive smartphone in the Android market competing with every other smartphone by its looks and processing speed. The Samsung Galaxy S6 Edge PLUS is provided with 5.7 inches Super AMOLED capacitive touch screen with 16M colors having a resolution of 1440 x 2560. The quality of display of the phone is certainly amazing and topples all other smartphones of this range. The display of Galaxy S6 Edge Plus will really catch your eyes with the crispness and clarity of the images it produces. The Super AMOLED capacitive screen that produces beautiful and vibrant colours, without any glitch, found in the display. Hence, we did not find anything wrong with the display of the phone. The Samsung Galaxy S6 Edge Plus comes with internal storage of 32GB, 64GB which cannot be further expanded because of the absence of card slot provided in the phone. The phone also comes with a 4 GB RAM, thus making it work smoothly. The processing of the phone is remarkable and hence gives a lag free experience. The Samsung Galaxy S6 Edge Plus is powered by Octa-core (4x2.1 GHz Cortex A-57 and 4x1.5 GHz Cortex A-53) with Exynos 7420 Octa chipset torqued. The phone works really smooth, and we did not observe any lag or delayed touch response from it. We also watched heavily encoded videos on the phone and were really impressed by its stunning display of video and its ability to process big files easily. The phone works on Android v5.1.1(Lollipop) which can be further upgraded to Android v6.0(Marshmallow). The phone with a 4GB RAM and amazing processor help for an error-free processing of the phone. The Samsung Galaxy S6 Edge Plus is provided with 16 MP primary cameras which are powered with optical image stabilization, autofocus LED flash and check quality feature. The secondary camera is of 5 MP having 1440p@30fps with dual video call and Auto HDR functionality. The picture quality is stunning, and the videos recorded with the phone are crisp and clear. We did not find any problems with the camera as it worked perfectly even in dark places too. The camera picture quality is amazing and happens to take all natural coloured pictures with no supplements. The Samsung Galaxy S6 Edge Plus is an amazing phone and is certainly worth the money not only because of its amazing camera quality and phone processing speed but also because of the impeccable design. Its design is surely something to consider when purchasing the phone. It's worth to invest money as it offers great feature and amazing experience.